We went for the $35++ three course dinner menu at Match Restaurant and Lounge at Pan Pacific Hotel. Initially the reservation email stated that it was at Marina Square, however my dad googled it and found out that it was located outside Pan Pacific Hotel. Match Restaurant, an American steakhouse, took over the former location of Royal Room. The restaurant has a slinky and contemporary bistro feel with it comfy tufted chairs and turned down lights. Please pardon the pictures as the lighting was quite bad. Smoked White Corn Chowder with duck liver croustade and chives. Thoroughly enjoyed how they jazzed up a normal chowder by exposing it to smoke. Norwegian Salmon Crudo. Avocados, dill, rice crackers and lemon oil. A tad too fishy for me, but the rest of my family seemed fine with it. I can never take fish with this fishy odour, as it kinds of detract the attention from the eating experience. If you have been following my Instagram (@qiuuing), you will know that I had been very busy hopping from one restaurant to the next the whole of last week because it was Restaurant Week here in Singapore. This is definitely my favourite time of the year as it is an excuse for me to try as many restaurants as possible! The thing that really impresses me about Gaia is their awesome service. They are very accommodating and the staff is extremely attentive. 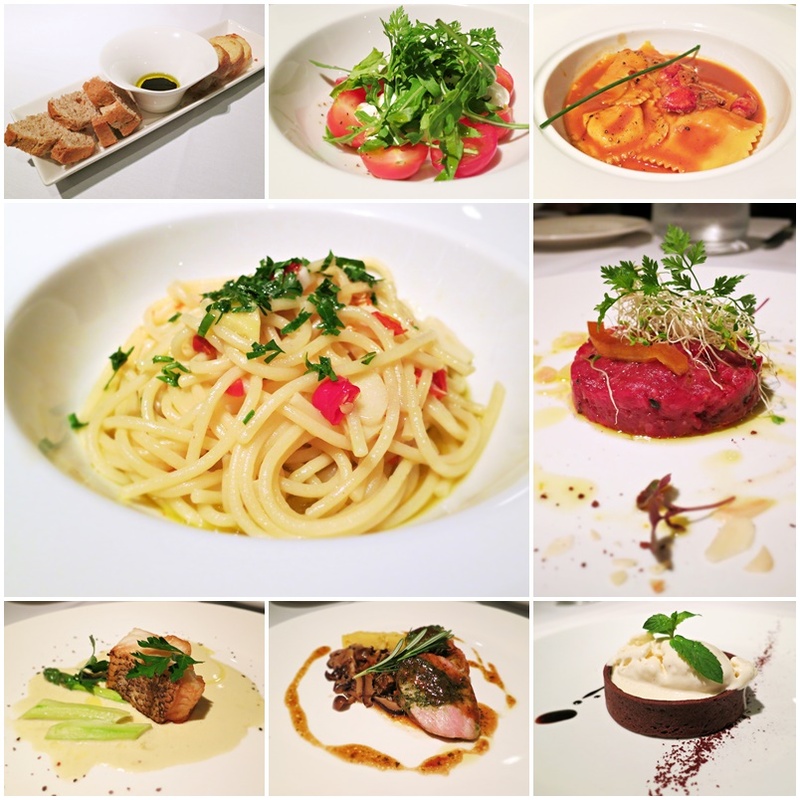 I must admit that for the both times I have visited Gaia, the main courses did not blow me away. However, it still remains one of my favourite restaurants to go to because of its ambiance. In addition, their appetisers and desserts are well executed, and they do take care with their presentation.